Seven out of ten Indians cite money problems as the primary reason for skipping treatment for ailments and illnesses. However, even the 15% of the country’s population that does have some form of health cover, doesn’t enjoy comprehensive protection due to underinsurance. A 2016 report states that more than 50% of health insurance buyers in the country were underinsured. This means that just 7%-8% of India’s 1100 crore population enjoys real protection from health problems. Having inadequate or no health insurance can negatively impact various aspects of your life. For starters, you may have to dip into your savings, borrow from friends or family, or even sell physical assets to pay for healthcare. In the event of a major ailment like cancer, you may even have to compromise on the extent and quality of treatment due to lack of funds. Not owning health insurance could also expose you to health inflation. Between 2004 and 2014, average expenses per hospitalisation case in India rose by 176% in urban areas, and by 160% in rural India. Unsurprisingly, treating a major ailment can easily cost a few lakhs of Rupees, even for those living in Tier 2 and Tier 3 cities in India. Paying a higher premium for an extensive cover makes more financial sense than setting aside a big chunk of your savings to pay for medical treatments. Additionally, having health insurance can ensure you and your family members enjoy protection from direct and indirect consequences of medical problems. Issues like loss of income, cost of follow up care, or purchase of medical equipment or accessories for long-term use can become easier if you have adequate health cover. Contrary to belief, high premiums or lack of income are not reasons for the widespread health underinsurance in India. A survey covering 10,000 individuals with an annual income of Rs. 6 to 36 lakhs, in eight major cities found that the average coverage was just Rs. 3 lakhs, and that six out of every ten individuals in the high-risk group were underinsured. The numbers show that the real problem lies in the lack of understanding of the value of health insurance. In most cases, people learn about the benefits the hard way; after incurring huge expenses for treating themselves or their family members. 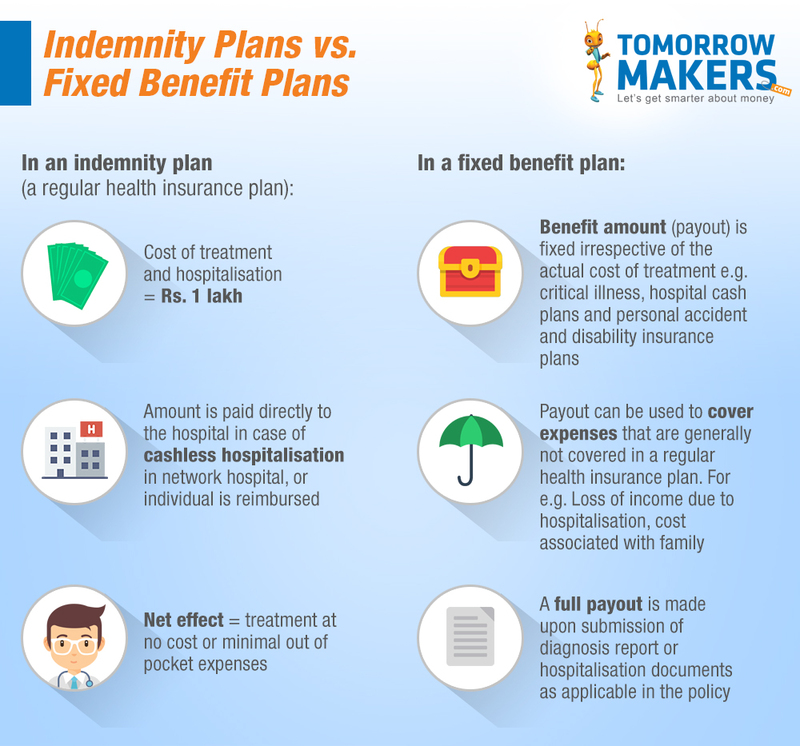 Apart from guaranteeing complete peace of mind, certain new trends in the health insurance sector in India make buying adequate health insurance a truly smart decision. 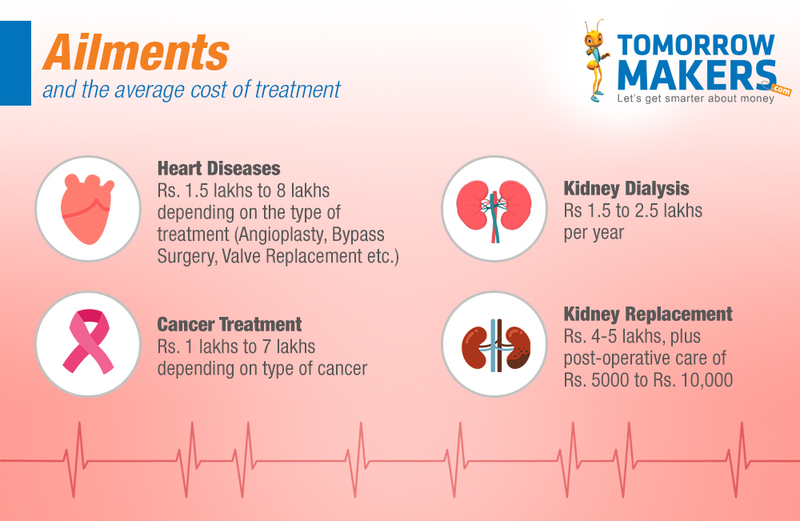 Unlike routine ailments, a critical illness - like coronary disease or cancer - can involve treatments that cost lakhs of Rupees, spread over many years. Critical illness plans offer a lump sum payout of the coverage amount upon diagnosis. Whether you use it for treatment, replacing lost income, or any other purpose, is your decision. Knowing that you will receive a lump sum payment, upon diagnosis of a critical ailment by simply paying regular premiums, can help you face life with more confidence. An overweight individual with a family history of diabetes is more likely to suffer from this condition as compared to a healthy person with no diabetes in the family. The former can opt for a plan designed specifically to cover treatment of diabetes and related complications. With more than 130 crore individuals in India suffering from diabetes, insurers are now offering condition-specific plans for those who want comprehensive protection based on their unique requirements. If the quality of your health and life are interrelated, is it necessary to buy separate plans to secure both, your health and life? Fortunately, this isn’t the case. The IRDA has now permitted insurers to offer combined plans i.e. 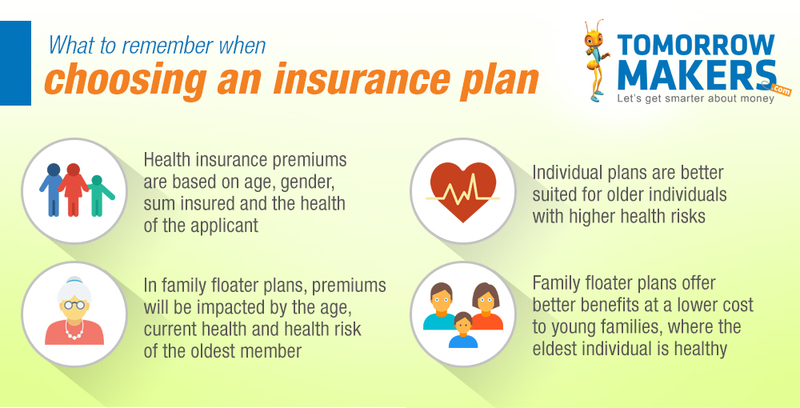 a single plan, insuring an individual’s health and life. Such a plan can help you increase health cover and maximise the death benefit at significantly lower premiums. This option also eliminates the need to keep track of multiple policies and premium dates or deal with different insurance companies. Currently, health insurance companies assess risk through health check-ups at the time of purchase or renewal of the policy. This is likely to be replaced by continuous monitoring of a person’s health through wearable fitness devices. This will give you an added incentive to improve your health and fitness. A positive record will help you qualify for lower premiums. Additionally, staying fit can help minimise the risk of ailments, which will further reduce the possibility of using your health cover. This will set off a cycle where good health leads to great savings, leading to even better health. Insurers previously followed a negative approach of penalising those who failed to stay fit and healthy with higher premiums. This however, has been replaced with a positive approach that makes it easier to stay healthy and avoid illnesses. For instance, working out regularly could let you claim discounts on your gym membership. Swimming daily or doing yoga regularly, could make you eligible for free checkups. Or, you could even win goodies like lower premiums and fitness accessories to help track your health with greater accuracy. In the unlikely event that you are diagnosed with a disease or medical condition, your low-cost high-cover policy would be enough to take care of the cost of the treatment. Recognizing the importance of encouraging individuals to buy health insurance, the government and the IRDAI have taken steps to make health covers more attractive. In the past, an individual wanting to switch health insurers would have to cancel the old plan and buy a new one. This could result in loss of no claim bonus, application of waiting periods for specified ailments, and other disadvantages. Policy portability allows individuals to carry the benefits of the old plan to the new plan without any hassles. This ensures you can focus on buying the best-possible plan for your family offered by different insurers without any restrictions. Previously, individuals could deduct up to Rs. 15,000 paid towards their health insurance premium from their taxable income, under Section 80D. However, from 1st April 2015, this deduction was increased to Rs. 25,000, and includes deduction of up to Rs. 5,000 paid towards preventive health checkups done for self or for family members. Furthermore, individuals can also claim deduction on premiums paid towards purchase of health insurance for senior citizen parents. This deduction limit was increased from Rs. 20,000 to Rs. 30,000 from April 2015. The combined deduction of Rs. 55,000 can help you save around Rs. 18,500 in taxes, presuming that you are taxed at the highest rate. There are also numerous government schemes like the Rashtiya Swasthiya Bima Yojana (RSBY), Employment State Insurance Scheme (ESIS), Central Government Health Scheme (CGHS), Aadmi Bima Yojana (AABY), Bima Yojana (JBY), and the Health Insurance Scheme (UHIS) that offer affordable health plans. Of course, these schemes are designed to cater to low-income earners and government employees. For salaried individuals or entrepreneurs earning a good income, comparing health insurance plans and buying the right cover for themselves and their family, is the simplest and smartest way to enjoy quality health care without affecting one’s financial condition.